Making the decision to start offering online therapy sessions is only the first step. In order for your current (and potential) clients to take advantage of your new services, they have to know they exist. Provide care for those in underserved or rural areas. Connect with your clients even when traveling. Open up care options for individuals who are unable or unwilling to travel to an office for treatment. 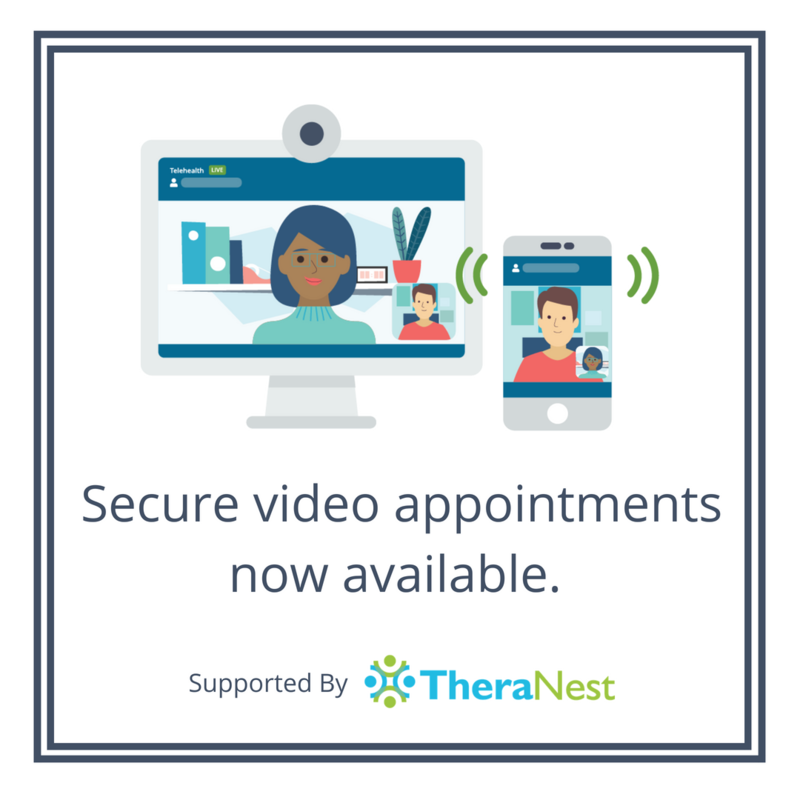 Telehealth provides a tremendous opportunity for increased access to care (and increased revenue), but only if your clients (and potential clients) know it is an option they can take advantage of. That’s why you need a solid marketing strategy. We’re sharing 5 ways you can advertise your new online therapy sessions below. We’ve also included full-size images that you can download and share in any way you want. To download the images, enter your email below. You’ll be directed to a folder with all of the images featured in this post. 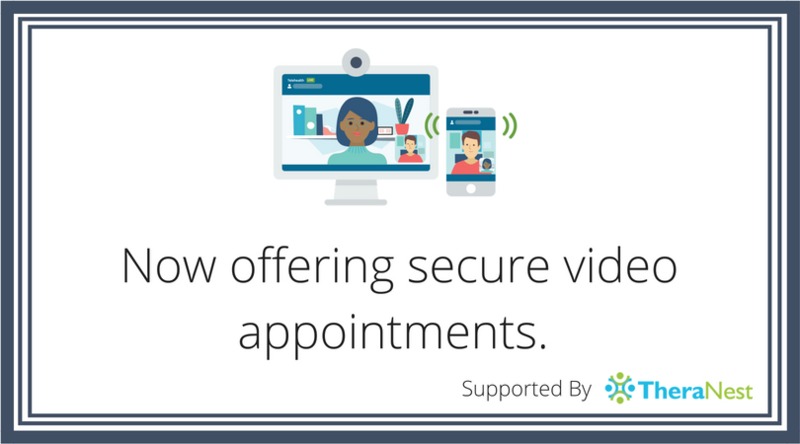 Email is a great and easy way to communicate with your clients about your new Telehealth services. Make one of the following banners your signature on your email to advertise your new offerings without having to go out of your way. Your website is the gateway into your practice. Make sure to include that you offer online therapy under your services tab. You can also feature one of the following images on your homepage or your scheduling page to ensure clients know this is a service they have access to. We live in a digital age, which means if you’re not using social media, you’re already behind. Check out this article about how to leverage social media sites to grow your private practice and after you’ve created your Twitter, Facebook page, and Instagram–share these images with your followers! 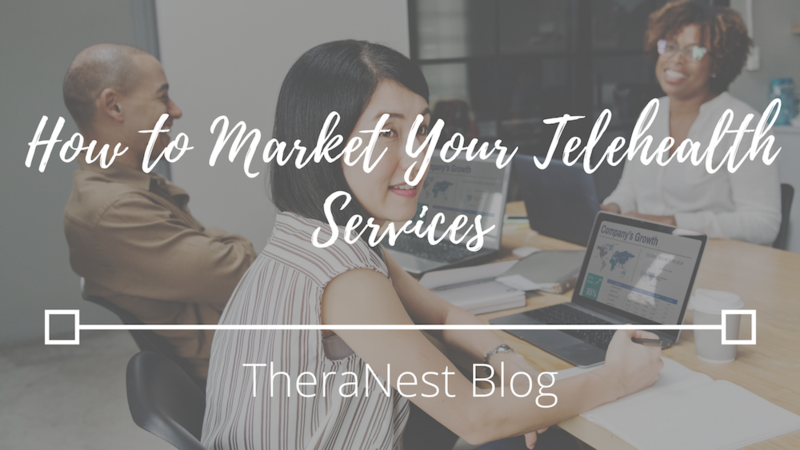 Even though marketing online is a great way to reach new audiences, you can easily advertise your new telehealth services right in your office to your existing customers. Put up posters around your office and print small flyers informing your current clients that they can now meet with you from anywhere. You can display the posters and flyers by your front desk so clients can read them when they are checking in and out for their appointments. 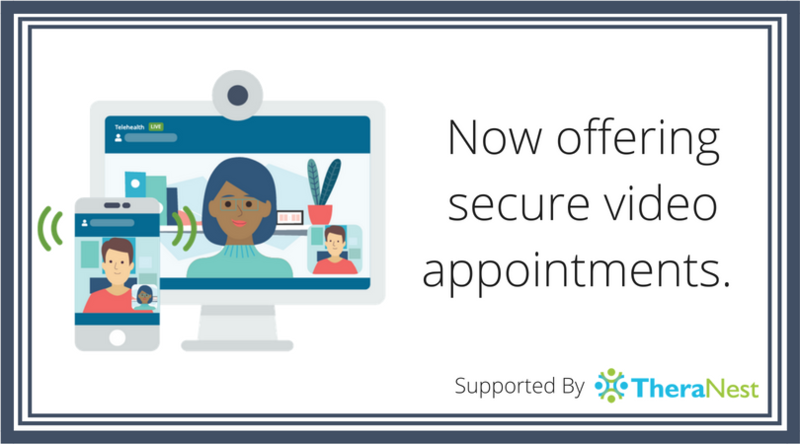 Another great place to advertise your new online therapy abilities is at the end of your session with a client or when you are scheduling their next appointment. 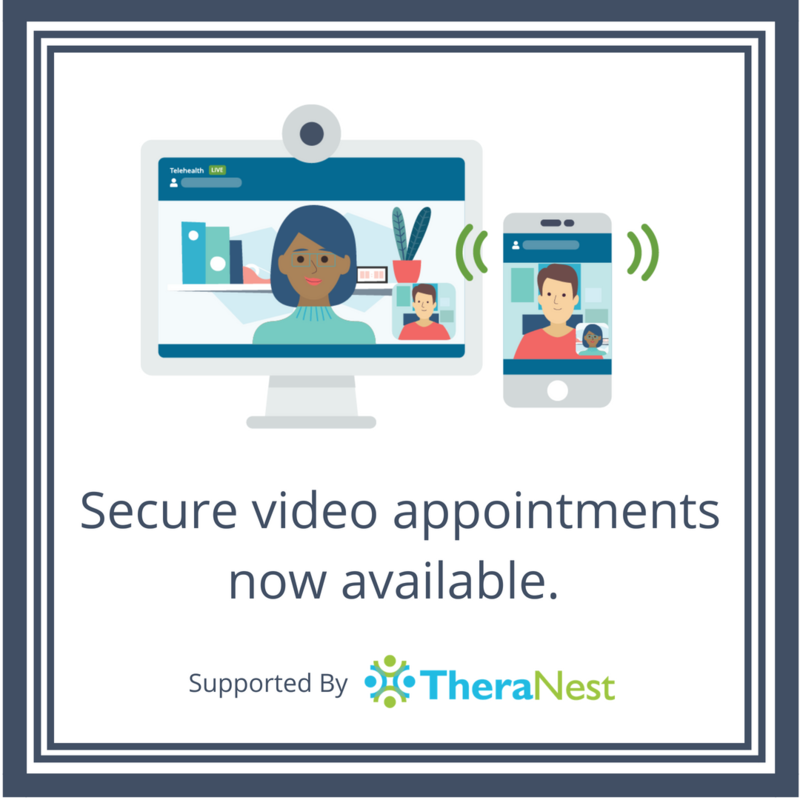 You can easily inform them that they can now meet with you from anywhere with Telehealth.